Taking a photo of this landscape is almost an obligatory thing for any photographer driving around the Hood River area. The pear orchard is such a picturesque location, with Mt. Hood looming over the bright red barn. Stopping there is irresistible. Typically photos are taken here in the spring, with the pear blossoms in bloom. It is way past that season at this point, and little baby pears are growing in the trees now! An awesome view of Mt Hood. I love the red barn too. Enjoy your day! A pretty barn, and I love the mountain in the background. Ahh.....the famous red barn! I wanted to get up there when the trees were in bloom, but missed out. Maybe this fall when the leaves turn. Nice capture! BEautiful Sarah, the red is so striking with the soft sky and vivid greenery. Ah, such a terrific shot of Mt. Hood, Sarah!! It is one of the most beautiful places in the northwest -- or anywhere else for that matter!! I love it!! Thanks for sharing the beauty! Have a great weekend!! 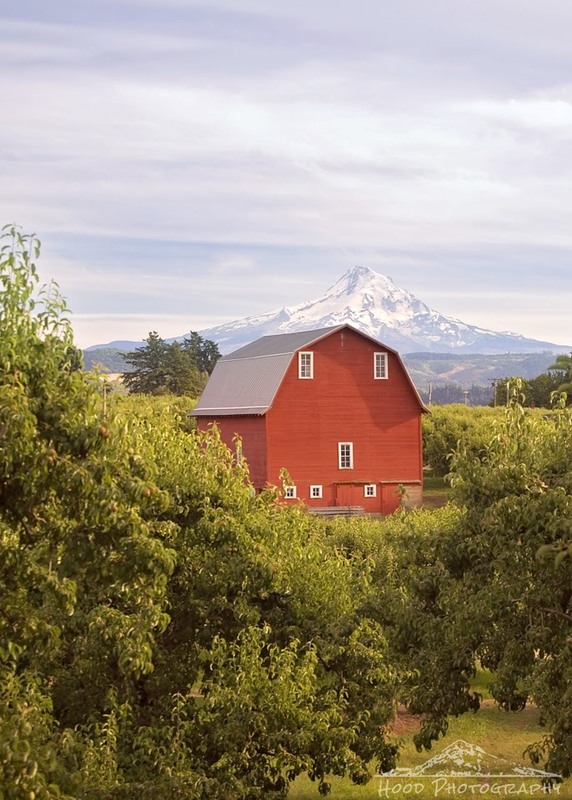 Great shot of gorgeous barn and awesome MT Hood! Postcard or greeting card image for sure. So beautiful. Beautiful!!! We'll be out there for two weeks at the end of July - I just can't wait! !